I serve the department in several capacities. I serve as a web master of the department revamping and designing the department website with dynamic content and features. This role also involves the task of overseeing graduate students' work of maintaining the department blog Communique and social media accounts. I organized Mass Communications Week, May 11-15, 2015. 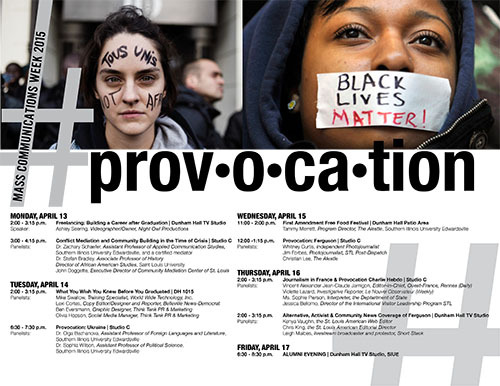 This event #Provocation brought to campus 18 speakers including Pulitzer Price winning photojournalist Jim Forbes of Saint Louis Dispatch, photojournalist Wendy Curtis whose Ferguson photos were named by Time magazine as one of the most influential photos of 2014, Editor-in-Chief of Ouest-France Vincent Jarnigon, and investigative journalist Violette Lazard of Le Nouvel Observateur, France. I also serve on the Curriculum Committee and the Graduate Program by revamping syllabi of digital media classes, developing graduate curricula, reviewing applications, and advising graduate students. I review as an ad-hoc reviewer for the journals New Media and Society, Information, Communication, and Society, The Journal of Information Technology and Politics, and The Asian Journal of Communication. I also reviewed conference papers for the Communication and Technology, Communication Law and Policy Feminist Scholarship Divisions of the International Communication Association, as well as for the Global Fusion conferences. 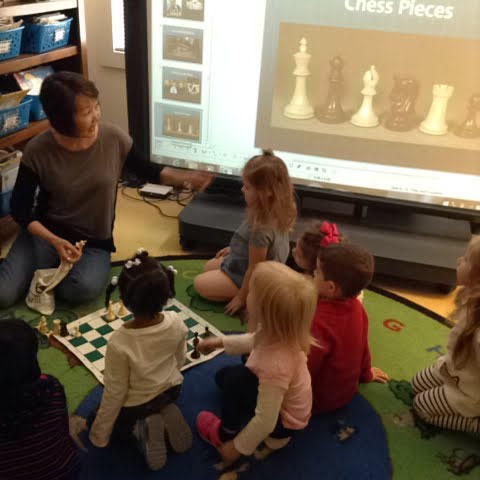 When I have time, I play chess online and get involved in popularizing chess in schools and in the streets. Chess is my passion. I aslo research online chess communities and gender in cyberspace; so it is a good excuse. Actually, I'm a participant in three World Chess Olympiads (Novi Sad, 1990; Manila, 1992; Moscow, 1994), and twice Ohio Collegiate Chess Champion. Check out my game with Ohioan chess master Carl Brandon Boor.